Talk to us today about your needs. Our products have been developed to support animal husbandry in general negating the need to have different products for each bird or animal groups on your smallholding. Our range of products helps you manage your bird and animals’ requirements by looking after their immediate and surrounding environment. 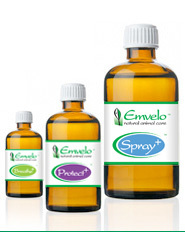 Emvelo range of products provide a healthy comfortable environment for your different livestock, be it poultry, pigs, specialist breeds or pets, to inhabit by reducing factors that can cause stress in your animals or birds. Using our sprays in your barns and animal housing will do wonders for odour control and effluent management and control of unwanted insects and flies. You can also feel safe in the knowledge that using the manure on your land will continue to add benefit – the beneficial micro-organisms continue to re-inoculate the soil adding more value by using our products. 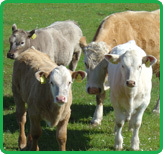 We currently offer three complementary products to assist with farming of your animals. Freedom from chemicals and pesticides can often make birds or animals happier and far more responsive. Spray+ is a spray which is applied to hen houses, barns, sheds, animal housing, surrounds and bedding. Spray+ applied to the bedding and surrounds can help suppress any harmful micro-organisms that could cause diseases and the manure will dry quicker making it less odorous. We also recommend applying to your transport systems to reduce stress. 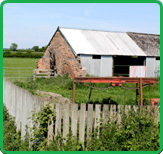 This product is applied after the barns or sheds have been cleaned and prior to introducing or re-introducing the birds or animals. We would recommend regular intervals of spraying in line with required cleaning programmes and as new bedding is applied or topped up. This could be up to 2-3 times a week depending on the time of the year but would be at least once a week for most times of the year. Spray+ assists in promoting a healthy environment. Protect+ is a spray which is applied directly to affected parts of your animal, taking care not to spray directly into eyes. The aromatherapy oils and their associated odours create an environment that does not appeal to flies, fleas, tics, midges etc. Different blend of aromatherapy oils work to deter flies and provide healing where already bitten. The micro-organisms within the product assist in balancing the bacteria in the skin thereby reducing possibility of infection.